Setup Your First Home Recording Studio Today! If you want to set up a personal home music recording studio then you must have these 8 things in your studio. For a home recording studio, budget is very important. So I have also given the examples of the budget devices falling in those categories. A bedroom may be considered a good place for a personal music recording studio. Lets move on the home studio equipment list below! Lets discuss these Equipments for your Home Audio Recording Studio briefly now! Click Here to see the price of the above given laptop for home studio recording! This is also called the music making / audio editing software which you use for recording and mixing your songs. There are many free softwares in the music world like Audacity. But, if you are serious then you should consider a paid software. Some good examples for budget DAWs for home recording studios are Cubase, FL Studio, Ableton Live, Sonar, Nuendo etc. It all depends upon the user that which software is good for him. Sometimes you can also get the audio editing software free with your interface or recording studio bundles. If you want to get free DAW with the audio interfaces then you can purchase Focusrite Studio Bundle with 2i2 Interface! You will be most likely getting a Free Song Making Software with this interface! If you want to know the price of Focusrite bundle then you may click here! Confused about the exact model of the Audio Interface? Look at the Focusrite Solo Audio Interface which is very nice for home recording studio! Click here to know the price of Focusrite Solo Audio Interface! No great audio recording can be achieved without a descent microphone in a home recording studio. You should consider the following specifications while purchasing the microphone for your personal recording studio. 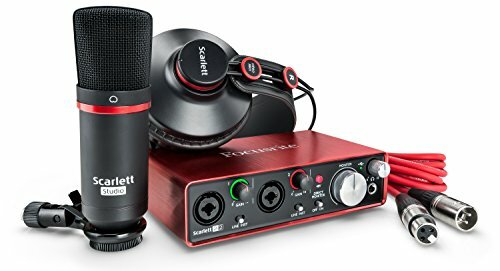 Dynamic vs Condenser Microphone vs USB Microphone? Still confused about the exact model of microphone? Look at the Samson C01 Large Diaphragm Vocal Condenser Microphone which you can connect with an XLR cable to the interface! Click here to know the price of the Samson C01 Condenser Microphone. Why to choose only Reference Speakers/Headphones then normal headphones? Still confused about the exact model of the Studio Reference Headphones? Look at the Samson SR950 Professional Studio Reference Headphones. Click here to know the price of Samson SR950 Professional Studio Reference Headphones. These keyboard are connected to the computer with a USB cable. Whatever we play on that keyboard, it can be directly recorded in our audio editing software or music making software (DAW). This saves a lot of time while doing any music production session. How many Pads are there? Look at the Samson Carbon 49 MIDI keyboard which you may get in low budget too! Click here to know the price of Samson Carbon 49 MIDI keyboard for your home recording studio! A good microphone makes a recording studio neat and disciplined. And believe me, this also saves a lot of time and makes your song recording process faster. You have to purchase a microphones stand which can withstand the load of microphone, shock mount and pop filter. You can consider this microphone stand HITUNE-BASS Mic Stand with Boom BIG BMS-101 (1pc microphone holder free). 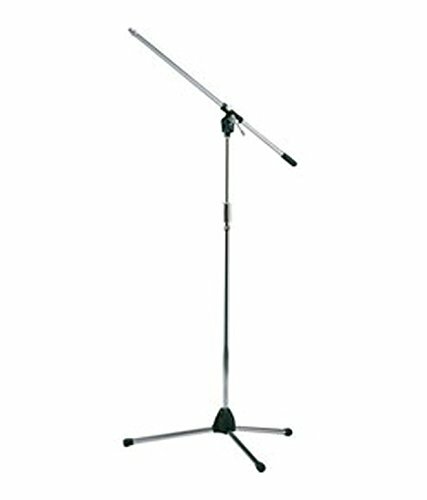 Click here to know the price of HITUNE-BASS Mic Stand. This is used to remove all the popping sounds generated from the wind thrown on the mic from the mouth. You have two options for this. 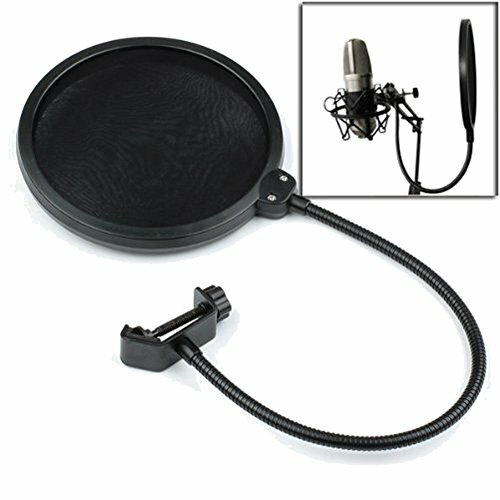 Either purchase a separate pop filter with a big round filter or a smaller one which can be mounted on the diaphragm of the microphone. Get this pop filter which has double layer for preventing popping: Kadence Pop Filter for Microphones! Click here to know the price of the Kadence Pop Filter! Conclusion for Your Music Recording Studio! There is no limit for the high priced equipments for your home recording studio but you should choose the home recording studio equipments which are the best in your budget and needs. A computer with i5 processer and 8 GB RAM, 1 TB HDD. Click here for the alternative laptops for your home studio. If you still have any doubts then you may write in the comments below. I will surely reply to them. Click here to get more suggestions for setting up your home recording studio / professional recording studio! thanks dear ram! please share the post if you really liked it! Very good article, I have reason this. thanks dear! have a nice musical time!